Is your bed always sweltering and broiling, like a heat-filled reservoir? Looks like you’ve been unable to make the perfect bed for yourself, so it’s time you address the “sleeping hot” issue in a different way. You changed mattress, nothing happened. You changed pillows, but no luck. You changed bed sheets, but still sleep hot. It’s time to buy the most technologically advanced sleeping pad, the Chilipad. There were mixed Chilipad reviews from consumers, so I took the plunge and decided to test it myself. ChiliPad, by ChiliTechnology, is a heating and cooling mattress topper to give your body the ideal temperature it needs for a restful sleep. If AC is running in your room, have you ever noticed that cool bed sheet feeling that goes away soon after you’ve spent few minutes on bed? Your mattress and bed sheets have the ability to retain your body heat which results in tossing and turning, and waking up with hot flashes in the middle of night. Chilipad allows you to control your bed temperature the way you want, from 55F to 110F. The best thing about Chilipad is that temperature is evenly distributed across every inch of your bed, leaving no hot spot on your mattress. Chilipad cube saves you on cooling and heating costs as well as it literally eliminates the need to use air conditioner at night. Let’s take a detailed look into our Chilipad Cube Review. Chilipad regulates the surface temperature of your mattress by continuously circulating water through the micro tubes embedded inside the mattress pad. Besides cooling in summer, you can also use it in winter season to keep yourself warm. The Dual-Zone Chilipad Cube allows you to set temperature of each side independently, so in case you share bed with your partner, you both can enjoy sweet slumber at your individual temperature sweet spots. Chilipad is energy efficient as well and consumes (on average) only 80 watts of energy per side when cooling. The prices below are correct as of August 28, 2017. For latest prices, click above button. Here are all the sizes you can buy your Chilipad in. I’ve spent tons of hours into compiling this chilipad review to make sure you get the information you need before making your purchase. The Chilipad works on a one-touch button mechanism. Since the temperature is managed by tubes through the cube, you adjust the temperature according to the requirement through the wireless control. Although named Chilipad, a large misconception is that this system only works to cool your bed, while it actually offers you both, a heating and cooling option. Once you set your desired cooler or warmer temperature lying within the 55 degree to 110 degree range, the reading on the remote blinks thrice to confirm the set temperature. The Chilipad is a padded mattress that fits the standard of any other commercially available alternative. Made up of polyester and cotton, the 150 thread count does makes it pretty comfortable to sleep on. However, there are other factors that also need to be considered when evaluating comfort. The Chilipad minimizes heat that tends to get trapped between you and your mattress while you sleep, addressing the problem in a very innovative manner. As stated earlier, the temperature is maintained by evenly circulating water through micro tubes. Though it is designed to make your sleeping experience comfortable, the tubes can prove to be a nuisance as you sleep, as the feel is not completely unnoticeable. It might be a problem if you’re a sensitive sleeper. This calls for weighing your options carefully, and deciding if sleeping cool is worth the slight discomfort attached to it. The current model we’re discussing is single zone. Chilipad, however, consists of another model in its product range, the dual zone. Single zone Chilipad allows for a single temperature to be set across the whole mattress layering, suitable for an individual sleeping or two people who tend to sleep comfortably on one temperature. The dual zone allows setting two different temperature ranges across the pad. This is managed through the independent control units for each side that allows for two different temperatures to be set simultaneously across the same mattress layering. This is perfect for couples who like to sleep at different temperatures. The dual zone Chilipad definitely adds to the customization this product has to offer. If one of you likes to sleep hot, the other, cool, that is not an issue anymore, thanks to this efficient technology. In case of a single zoned Chilipad, there is only one cube that regulates temperature, whereas, in the dual zone Chilipad, two independently operated cubes maintain the desired temperature. So technically, its just warm or cold water flowing through the mattress that keeps you asleep at the temperature best suited for you. Once the cube is filled with water, you need to plug the hose in. 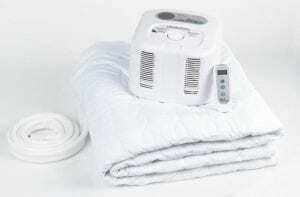 This is a revolution in air conditioning and bedding industry, minimizing effort at the user’s end to maintain the perfect temperature during the night. You might be wondering how a product worth hundred of dollars can be cost efficient? Here’s how. An interesting finding reveals that every degree raised on the thermostat can save up to 6-8% on your electricity bill. For people living in warmer climates, air conditioning takes up the largest chunk of electricity bills, (leaving the effort to get up in the middle of the night in order to adjust temperature aside). This is where the Chilipad cube comes in handy. By setting it on your desired temperature, you get to sleep comfortably, without having to adjust the room temperature, or waiting for the air conditioner to work its magic by bringing the temperature down. All of this, by using less than 80 watts of energy. By saving up on your electricity bill, you manage to cover the cost of Chilipad, making it cost efficient from that point onwards. Why not make the most of this cost and energy-efficient technology? 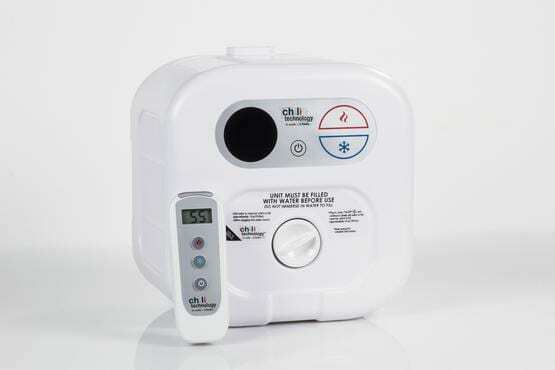 One of the features that a user might only get to know of, once he/she purchases the product, is that Chilipad offers both warming and cooling feature. For those cold winter nights, you need not shiver and wait for the mattress to retain heat and warm up. Similarly, for people who do not like sleeping hot, adjust the temperature to a low number, and forget about sweating, by taking over the mattresses’ capacity to retain heat and warm it up. Simply select the warm option on the remote and set it at your desired temperature. Sick of paying hefty amounts for bills? Heating broken down? Let the Chillpad take charge. Regardless of what temperature it is outside, you get to sleep in the temperature you desire. Not only improving sleep quality, it also increases REM sleep, allowing you to wake up refreshed after a good night’s restorative sleep. Air conditioning appliances usually generate a lot of noise alongside bringing your room temperature down. The whole system is not completely noise free but produces a minimal sound of 20dB. Firstly, the temperature is regulated through simple tubes that don’t operate on electricity. Only the coil works on electricity and that too, without creating any sort of noise unlike the thermostat of your air conditioner. This helps you get restorative sleep throughout the night. Since a considerable amount is spent by the user purchasing the Chilipad, the users in return do require a warranty in case any malfunctioning takes place. The product being an innovation in the industry leaves general public apprehensive of its durability and reliability. For this purpose, Chilitechnology gives a 2 years warranty and a one of its kind 90 Nights Satisfaction Guarantee. This implies that if you’re dissatisfied with the product quality, features or functioning, or in case of malfunctioning, the company will return the product and give you a complete refund of the purchase price, provided the product is returned within 90 days from the purchase date. Now you can give this a try without having to worry about your money going waste. The company keeps offering discounts from time to time and on various occasions. Check out their website to see if there are any active promotions. To ensure durability, it is important that you clean it regularly and according to instructions. That being said, it is of key importance to take notice of decreasing water levels and fill it on time. It is advisable that the following instructions are considered when operating the Chilipad. It is preferable to use distilled water only in the cube, that is to run through the tubes. This eases the cleaning task and prevents growth of any bacteria and molds. Pouring in half a cup of hydrogen peroxide in the cube once or twice a month helps in keeping the coils clean. Low water level is indicated through a blinking light. This can be muted, but in case you have a short memory, its advised that you don’t do that. Refill the cube with distilled water as soon as you get the indication. In order to get rid of the dust and debris, use compressed air cans that will blow out any dust particles from the vents. As far as the mattress is concerned, it is machine-washable and can be cleaned after securing the tail through a rubber band or anything that keeps it from getting into the washing machine along with the mattress. It is recommended that 24 inches of space is cleared on all sides of the control unit to allow proper ventilation and to keep the system from heating up. Similarly, you should keep checking the system for any kind of restrictions in water flow and ventilation and get it checked if you experience any trouble with the heating/cooling. Chilipad cube is a revolution in bedding mattresses and air conditioning simultaneously. Instead of cooling the whole room up, it simply cools your mattress, reducing heat trapped between you and your mattress, taking your sleep experience to a whole new level. For blood pressure patients and others, who experience night sweats and hot flashes due to other medical reasons, this is a blessing. It lets you save up on energy, without creating any noise or sound that disturbs you while sleep. The tubing is totally safe as they do not operate on electricity, so there’s no risk of an electric shock. Another benefit of Chillipad is its auto-shutoff timer, that switches the system off after 10 hours automatically, in case you don’t. Moreover, the company gives you a 90 day warranty, that is long enough for you to figure out if Chillipad is in fact the solution to sleeping hot and your night sweats. Chillipad is undoubtedly one of the most useful inventions ever, yet there are still some factors that you’ll need to look out for before you make that purchase. Firstly, for the cube to last long, proper ventilation should be ensured. A 24 inch space needs to be cleared on all sides for that purpose. Secondly, some users find the 20 dB sound too noisy, so you need to decide for yourself how sensitive you are to such sounds, and how it affects your sleep. The main wires are not long enough to keep the cube outside the room. Therefore, it has to be placed inside the room which can be a problem if you find it too loud. Thirdly, arranging the whole system can be a bit cumbersome if you’re not too good at following instructions from the manual. The whole system comprises of a a number of items that have to adjusted perfectly to minimize the occurrence of malfunctioning. Lastly, it is recommended that you use a water proof mattress cover, since the system works on circulating water through the micro tubes. How is Chilipad better than my cooling mattress? Your cooling mattress only uses circulated air or cooling gel to keep you cool which is not enough to help you attain the recommended temperature. In comparison, Chilipad cube has an advanced water-based system that helps you attain the desired sleeping temperature. You can literally control the temperature of your bed in one-degree increments so no more sleepless nights because of night sweats and hot flashes. Are spare parts easily available if something goes wrong? Yes, Chilitechnology offers spare parts including Chilipad replacement pad and cube. If you’re looking for a solution to sleeping hot, then this is your solace. A dual zone Chilipad cube is a better buy if you live with your spouse who sleeps at a different temperature than you do. Say Goodbye to sweating during the night and uncomfortable insomniac night hours. I haven’t come across any decent Chilipad alternative yet, but if you discover one, let me know.